Dr. Dennis Kimbro, author of The Wealth Choice: Success Secrets of Black Millionaires says, “I can tell you unequivocally wealth is not a function of gender, not a function of race. It is not a function of circumstance. It is not a function of condition—how the cards were dealt, which side of the town you were born on, but it is a function of choice, a function of discipline, and it is a function of effort, faith, and believing in yourself.” In other words, we (African Americans) can determine whether or not future generations will benefit from the wealth of those that came before us. But are we really doing all that it takes to ensure that future generations (i.e our kids) will benefit from the work we are doing, now, to build wealth? How to shift your mindset from spending to building wealth. What it means to leave your family a legacy. We will send you emails in the days leading up to the webinar with reminders and information on how to access the webinar. Space will be limited…so please make sure you register and try to join at least 10 to 15 minutes ahead of time to ensure your spot. Disclosure: This is a sponsored post brought to you by Wells Fargo. 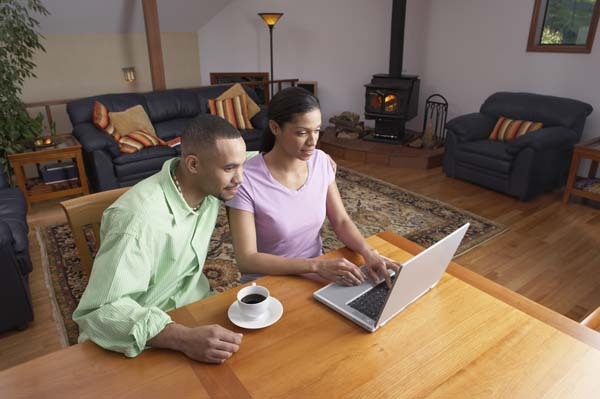 BMWK has collaborated with them on a Couples Financial Empowerment Series that includes panels and webinars focused on promoting financial education and wealth building in our community. Ronnie Tyler wrote 523 articles on this blog. Ronnie Tyler is the co-creator of BlackandMarriedWithKids.com and co-producer of the films Happily Ever After: A Positive Image of Black Marriage, You Saved Me, Men Ain’t Boys and Still Standing. The proud mom of 4 has been selected by Parenting Magazine as a Must-Read Mom and is one of Babble’s Top 100 Mom Bloggers. More available at BlackandMarriedwithKids.com. 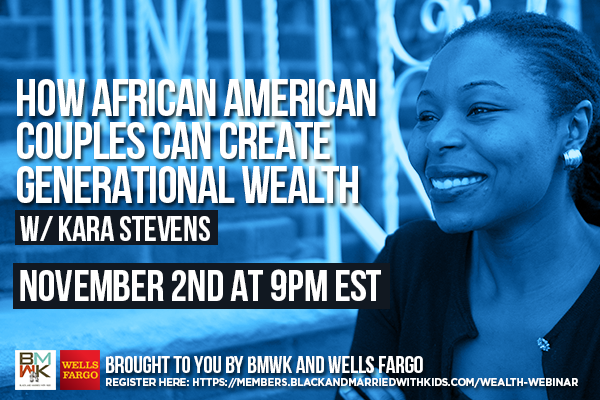 Link to article https://blackandmarriedwithkids.com/2017/10/free-training-how-african-american-couples-can-create-generational-wealth/?utm_source=rss&utm_medium=rss&utm_campaign=free-training-how-african-american-couples-can-create-generational-wealth. Previous article Previous post: Kickin’ It With Kandi!